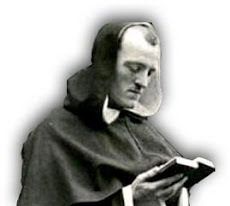 After the publication of Part I (The Angelus, Oct. 2002), there remains to address in this Part II the three popular arguments advanced against Distributism by its antagonists. We may classify them as follows: 1) it is anti-competitive; 2) it restricts the use of private property; and 3) it is in some fashion injurious to the profit motive in economic life. These are all, in general, and with room for exception and qualification according to circumstances, admittedly correct notions with regard to Distributism. Because of these, however, Distributism conforms more, rather than less, to the teaching of the Church regarding economic life. Proponents of Capitalism suggest that Capitalism, as an economic system, implies also a regime of free competition between economic enterprises. They surmise that the principal way in which Distributism militates against the notion of "free enterprise" is in the way it understands the notion of private property and its use. In their way of thinking, the institution of private property includes the notion that private property may be used without restriction by the owner of the property. Distributism, they say, destroys that notion by limiting the way in which owners may use their property which eliminates-in an uncomfortable degree-the capitalist scheme of free competition. Is the Distributist ideal of private property actually antithetical to it because it limits how private property may be used? Does someone who owns property have an unrestricted right to its use? Such an assertion would be surprising. One would not find it upheld in even the most liberal of societies. I am not allowed to commit murder with a knife that I own, simply because I own it, and am therefore entitled also to its use. Human laws and human institutions are limited by any number of considerations, both moral and legal, and sometimes both (as in this example). Any society wisely limits the use of private property: it remains solely to consider whether or not Distributism places such a degree of restriction on the use of private property that-as capitalists maintain-private ownership ceases to exist. It is unfortunate that not everyone has a copy of Hilaire Belloc's book, The Restoration of Property [available from Angelus Press. Price: $8.95-Ed], because it is impossible in the short space of this article to accurately detail what kind of scheme he proposes. He proposes to defend the small landowner, the family farmer, the small craftsman, the small retailer, from being eaten up by the larger. What he is proposing is the checking of competition to the extent necessary to reverse the current trend: the tendency under a regime of free competition-a tendency which cannot honestly be denied-towards the growth of bigger and bigger economic enterprises at the expense of the smaller ones. Such a proposal by no means implies a stifling restriction on the use of property. Such a restriction does not even imply a limit on the amount of money that one can make through the enterprises and means of production that one already possesses. What it does imply is a restriction of the ability of a businessman to employ amassed wealth in an effort to eliminate his competitors, through outright purchase, or through "free market" competition. Such a businessman is discouraged under Distributism from transforming, without their truly free consent, his neighbors into his employees. Belloc thought that free competition was not sufficient to regulate economic life in a way that allowed the masses to be secure in their property. He thus refers, in The Restoration of Property, to the historical fact that mankind has instinctively safeguarded itself against the danger of ownership by a few by the setting up of institutions for the protection of small property, and that these institutions have never broken down of themselves, but always and only under the conscious action of a deliberately hostile attack. 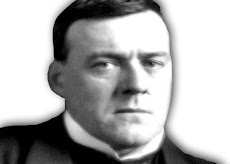 Belloc proposed to use the legitimate power of the State to regulate economic life according to the common good. Pius XI, following Leo XIII, also maintained that the role of the State in economic life was to foster the common good. Finally, the Church, in a doctrine which Pius XI called "age-old," has always distinguished between the ownership and the use of private property; the former must be held as inviolable, and the latter as subject to the common good. The last objection of capitalists which bears refutation is the accusation that Distributism removes the "profit motive" from economic life, thus bringing it to a halt. The first problem with such a position is that no where does Distributism condense its scheme to such a neat and tidy proposition. Distributism seeks to protect the small economic enterprise from ruin at the hands of the larger ones. Its purpose is not to restrict the amount of wealth that one can possess, but rather the amount of productive property one can employ when that employment directly affects the ability of the smaller operation to survive. It is crucial to bear in mind the distinction between the simple possession of property and its use in the public sphere ("Part I: Capitalism and Catholic Economics," The Angelus, Oct. 2002). Distributism teaches that the "profit motive," as it is imagined by modern economists, is a concept which is hardly acceptable to Catholic theologians. The "profit motive" is licit, then, only insofar as the motive for the profit is the becoming upkeep of a household, the support and care of the poor, or as a just wage in exchange for a productive service rendered, which is good in itself. Can it be honestly maintained that such a concept is the motive that economists have in mind when they speak of "maximizing profits?" No doubt the determination of what is necessary and what is excessive in the upkeep of a household is largely a matter of prudence. No doubt that many Catholics are satisfied with a reasonable wage, which they then employ in the upkeep of their households. But the legitimate increase in income and property which results from the practice of an honest trade is not what Distributism seeks to limit. Rather it is the massive concentration of capital and financial wealth that results from unrestricted economic competition13 which Distributism seeks to manage. It is the personal craft, the independent retailer, and the homestead which Distributism seeks to defend by placing Home Depot, Wal-Mart, and agri-business, et al., under reasonable economic control. If such controls militate against the "profit motive" of modern economic man, then perhaps economic man must re-evaluate his motives in light of the teaching of the Church. The essence of the Social Doctrine is that society is a means to an end. The duty of the State is to protect and foster the moral and material goods of this life (which collectively are known as the "temporal common good") in service of the ultimate end-the eternal salvation of men.14 As a result, every law, custom, and ordinance of the earthly community is salutary insofar as it makes man's journey to heaven easier, and is disordered whenever it makes that journey more difficult. In light of that most important of all truths of Catholic Social Doctrine, it should be easy to see that Distributism is consistent with the Catholic economic vision insofar as it subordinates economic life to the ultimate purpose of man's life. It does not curtail the right of a man to own and use his private property. Its entire program is designed to safeguard and defend that right and to ensure that most if not all in society are able to benefit from it. But defending private property assumes that there is something to defend it against: which is the notion that private property is an end in itself, to be amassed and multiplied and owned without limit. "The art of amassing wealth," says St. Thomas Aquinas, "which is solely concerned with money, is infinite. "15 Where that art is pursued for its own sake, where it is governed by a "profit motive" which possesses no built-in limit but is rather an end unto itself, it leads simply and directly to yet further desire for wealth: "Hence he that desires riches, may desire to be rich, not up to a certain limit, but to be simply as rich as possible. "16 The incarnation of that mentality is the modern economic system which not only encourages in its philosophy the unlimited acquisition of wealth, but sanctions in its practice an expanding field of ownership by a few at the expense of widespread and distributed ownership by many. 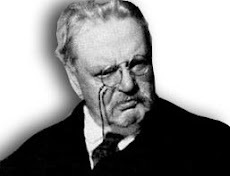 It is this scheme of things that Distributism opposes and for which it offers a remedy, that by the restoration of property to the non-owning masses it might also effect a restoration of economic life in its proper place, subordinate to the real needs of man and to the just decrees of God. 1. Pope Pius XI, Quadragesima Anno (May 15, 1931), §107. 3. Address to International Foundry Congress (Sept. 28, 1954). 10. Summa Theologica, II,II, Q.55, Art. 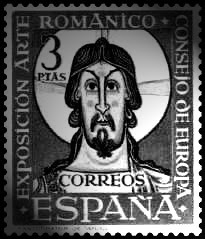 6, ad I. 11. St. Thomas Aquinas, On Kingship, I,xv. 12. ST, II,II, Q.77, Art. 4. 13. Both of which the Church has condemned, as we have seen. 14. "...Hence, civil society, established for the common welfare, should not only safeguard the well-being of the community, but have also at heart the interests of its individual members, in such mode as not in any way to hinder, but in every manner to render as easy as may be, the possession of that highest and unchangeable good for which all should seek..." (Leo XIII, Immortale Dei, Nov. 1, 1885, §6. 15. Commentary on the Politics of Aristotle, v.
16. ST, 11,1, Q.30, Art. 4.